Matt Brown is a Moms in Prayer kid who has experienced revival. At a young age, Matt discerned a heart and call as an evangelist. Today he tells us the story of revival, the impact of his mother’s prayers on his life and ministry, and the nonnegotiable way we will win the next generation. 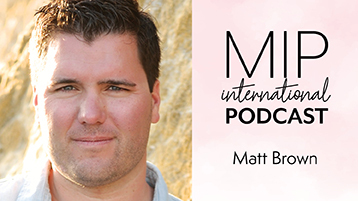 Listen in as Matt shares his heart for truth, love, and reaching young people everywhere. Join Matt at the Ignite Event in Northwest Arkansas on April 25, 2019. Families and individuals of all ages come together for this free event. Jeremy Camp, Meredith Andrews and Brennley Brown in concert. Speakers are Matt Brown, Lee Strobel, TC Stallings and Ronnie Floyd. 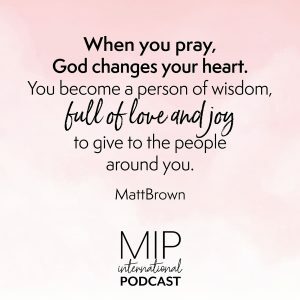 Matt Brown is an evangelist, author, and founder of Think Eternity, a ministry dedicated to amplifying the gospel every day to millions through devotionals, videos, live events, and more. Matt and his wife, Michelle, and their two sons live in Minnesota. Love this! I worked for Matt and prayed with Tami in Moms in Touch and they’re the real deal!